Winston Crawford, a former advertising executive, has left Apple to join Drawbridge. 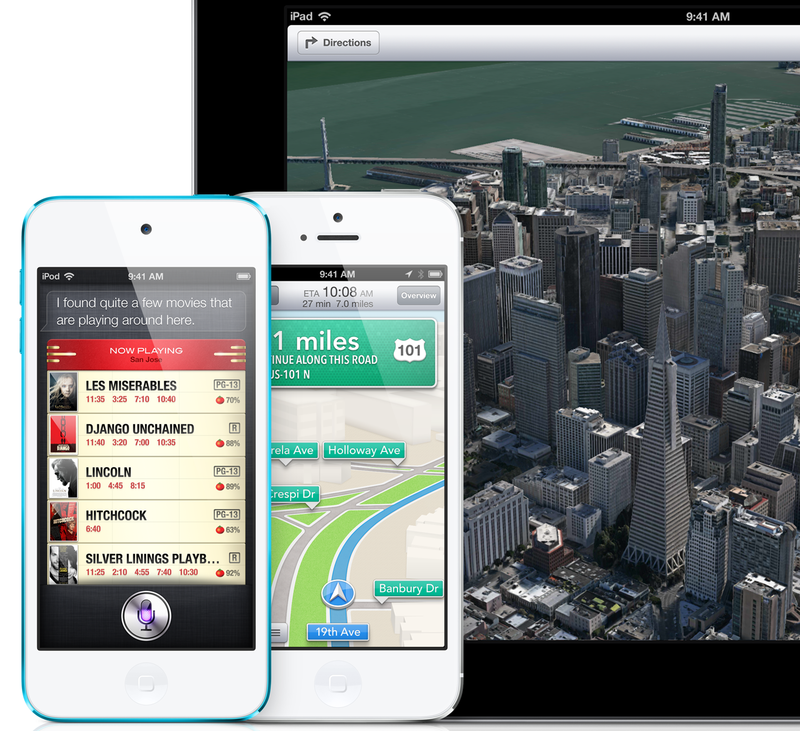 The move comes at an interesting time given Tim Cook’s recent comments on user data and privacy. Drawbridge is a relatively new company which helps marketers track user data across multiple mobile devices like smartphones and tablets. He joined as COO to help expand the tracking technology to new areas like offering the ability for retailers to show the same online shopping cart to a single customer across multiple devices. In a profile of one of Apple’s newest employees, The Wall Street Journal has described hip-hop artist Dr. Dre of Beats Electronics as obsessive in a Steve Jobs kind of way while maintaining a clear instinct for what customers want without relying on market research. But behind the scenes, Dr. Dre—whose real name is Andre Young —has quietly played an equally powerful role developing and protecting the Beats brand, eschewing market research for gut instinct at every turn. Though his main obsession is perfecting the sound of the company’s signature high-end headphones, the 49-year-old fitness-obsessed music producer weighs in decisively on everything from TV ads and font styles to the wordiness of descriptions on the Beats Music streaming service. As one colleague says, Dr. Dre serves as Beats’ “cultural barometer” of what is cool. That could portend friction at his new employer, Apple, which agreed to buy Beats for $3 billion last month. But like Dr. Dre, Apple has also boasted about not doing market research. The company’s late founder, Steve Jobs, made no secret of his belief that consumers don’t really know what they want until someone else shows it to them. Colleagues predict that at Apple Dr. Dre could also cede some decision-making power and become more accommodating. Dr. Dre has resisted much of the limelight since the Beats acquisition by Apple was announced leaving many of the interviews and spin to his Beats co-founder Jimmy Iovine and Apple’s Eddy Cue. The WSJ noted he declined to be interviewed for the above profile, and that decided exclusivity, too, is reminiscent of Jobs. Dr. Dre did participate in a WWDC demo earlier this week, though, accepting a phone call from Apple’s SVP of Software Engineering Craig Federighi. Even that bit has parallels with the Steve Jobs days at Apple as Dr. Dre previously cameoed in a demo with the Apple founder. The WSJ reports that after years of worsening patent legislation in the US, the Obama administration has finally decided to try to do something about it. Apple, depending on who you ask, is sometimes the agressor in patent cases but is often the victim of frivolous lawsuits that often earn these patent holding companies millions and millions of dollars. These companies aren’t really companies at all; instead they are just shell companies built around a patent or a portfolio of patents, which are often overly broad or were never intended to be used in a particular way. These lawsuits often take place in courts in Eastern Texas, where judges are notoriously friendly to trolling interests. Some examples of companies who’ve questionably sued Apple or its interests: VirnetX, Personal Audio LLC, Lodsys, Motorola? etc. The Wall Street Journal takes a look at Apple’s continuous shifts and expansion of its Asia-based product suppliers. For several years, Foxconn has been known as the de facto Apple manufacturing partner for iPhones, iPads, iPods and Macs. However, over the past few years, Apple has begun manufacturing certain products at Tawain-based Pegatron. Today’s report positions Apple’s move to diversify its production manufacturing partners as one to reduce risk and to provide greater supply chain balance. But under current Chief Executive Tim Cook, Apple is dividing its weight more equally with a relatively unknown supplier, giving the technology giant a greater supply-chain balance. People familiar with the matter point to strategic reasons for the shift: risk diversification after Foxconn’s manufacturing glitches last year with the iPhone 5 that resulted in scratches on the metal casings, and Apple’s decision to expand its product lines amid growing competition from Samsung and others. With the iPhone 5’s thinner, lighter design with anodized aluminum, a notable number of customers found their iPhones exterior color chipping. Multiple reports, at the time, claimed that this was due to production-related issues (at Foxconn), and that Apple even rejected several million iPhone 5s from Foxconn. Foxconn, in its growing heft as the world’s largest electronics contract company, was also getting more difficult for Apple to control, with incidents such as changing component sourcing without notifying Apple, people familiar with the matter said. At the same time, Foxconn became frustrated with the growing complexity of Apple products, such as the iPhone 5, which is difficult to make in the volumes Apple needed. The report goes on to profile the differences in relationships between Steve Jobs and Tim Cook with Foxconn’s executive leadership. Additionally, the report seems to claim that the much-rumored low-cost iPhone will be built by Pegatron, but it is not clear if this comes from independent sources or an analyst cited near the end of the report. A newly redesigned 15-inch MacBook Pro was all but rumor until we reported earlier this month that Apple indeed has a slimmed down, all-new MacBook Pro sporting a Retina display, Ivy Bridge, and speedy USB 3. We followed that up with a report revealing Apple’s new MacBook Airs and iMacs will both likely include super-high resolution Retina displays. At the time, we reported Apple’s WWDC in June would be expected for at least the unveiling of the new slim MacBook Pro; although, a gradual roll out of Retina iMacs and Airs following the Pros would not be much of a surprise. Apple typically rolls out new Mac features such as higher-res displays gradually. Reitzes said it is likely the Mac line will feature the retina-display technology used in the iPad, as well as the new Ivy Bridge quad-core processors from Intel Corp. (INTC) He also estimates that Apple’s new operating-system upgrade, called Mountain Lion, and the new MacBook Airs should be on the market before the first Ultrabook laptops with Microsoft Corp.’s (MSFT) Windows 8 operating system hit the shelves in the fall… “We believe recent data reflect a pause ahead of new products, which we believe will be released this quarter in June,” according to Reitzes, who has an overweight rating and $750 target price on Apple’s stock. Yesterday, we reported that the Australian Competition and Consumer Commission wants Apple to lose the “4G” marketing for the third-generation iPad, alleging it misleads consumers into thinking the device is capable of accessing 4G networks in Australia. Reports from ABC news quickly followed and claimed Apple would give refunds to customers and publish clarification regarding incompatibility with the Telstra network. Apple’s AU website now has “Ultrafast wireless” instead of “Ultrafast 4G” on the main features page, despite still advertising 4G as a highlight of the device through its international sales pages.